In 2003, the Michigan Supreme Court found the State’s grandparent visitation statute to be unconstitutional. In response the Michigan legislature passed the Grandparent Visitation Bill in January 2005. Consequently, this bill contains far less rights for grandparents. The current law primarily gives grandparents the right to petition for grand-parenting time when one parent is not able to exercise parenting time because they have deceased or are incarcerated. Michigan’s Child Custody Act dictates the particular circumstances when a grandparent may petition the court for grand-parenting time and indicates what the grandparent must prove in order to receive court-ordered time. This development was good news for responsible parents who deserve to raise their children without government interference. However, this creates problems for many grandparents who are spending substantial time with their grandchildren or even raising them on behalf of parents who allow them to live and attend school from the grandparent’s residence. 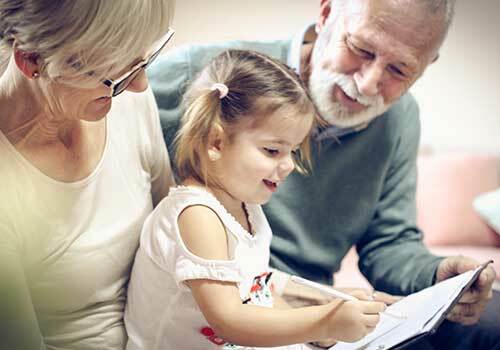 If a grandparent intervention petition is not the answer, a possible solution lies in guardianship proceedings, which allow relatives to petition the court for an order of guardianship when children have been left in the care of grandparents by parent(s) for an extended period of time. If your established relationship with your grandchildren is being thwarted it is important that you discuss the facts of your case with an experienced and knowledgeable family law attorney. David Dart has over 25 years of family law experience and knows that the legal process can become overwhelming. By stepping back from the emotions of the moment, David will ask the important questions that will enable him to offer solid advice and good counsel so that issues are spotted and a clear goal-oriented strategy can be developed with your grandchild’s best interests at heart.